If you have a commercial business in the Alpharetta GA area, and are looking to find a professional drain jetting plumbing service that will not only offer you a competitive rate, but also has many years of experience, Sunburst Environmental should be your first choice in plumbing services in Alpharetta. We offer specialized plumbing services for business. Our Alpharetta drain jetting plumbing services include sewer clearing, sewer line cleanout services, drain cleaning – we do it! Drain Line Clearing – Drain lines are often blocked by sediment and buildup in the pipeline system causing blockages, cracks and can lead to structural damage. Our expert technicians can clear the drain for you. Hydro Jetting Service – Keep your system clean with our precision water jetting service. Avoid buildup and clogs that can lead to costly plumbing repairs. 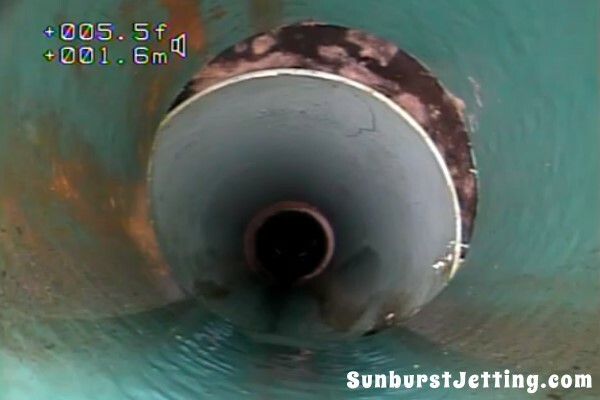 Video Sewer Line Inspections – We utilize state-of-art septic camera inspections for more detailed inspections. With 100% customer satisfaction, you get the best service when you hire our team of specialists.